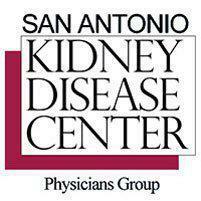 San Antonio Kidney Disease Center Physicians Group always appreciates feedback from our valued patients. To date, we’re thrilled to have collected 252 reviews with an average rating of 4.89 out of 5 stars. Please read what others are saying about San Antonio Kidney Disease Center Physicians Group below, and as always, we would love to collect your feedback. Attentive and professional in checking in by medical staff. Dr. Diaz-Wong explains medical condition and treatment in a understanding tailored for the patient. Dr Diaz-Wong is exceptional and dedicated to patient care. Dr. Davis has an answer to my prayers in helping me. Excellent service and care. Very nice and professional! I always have a very good experience with Dr. Luna. She listens and talks to me about all my concerns. I feel fortunate to have her as my doctor. My appointment with Dr. Gouge on August 9, 2018 was highly satisfactory. The desk staff are personable and helpful. Dr. Gouge LISTENS and patiently answers questions. I never for one moment felt as if I were "taking up 'his' time." It was MY time during the entire consultation. I left the office feeling that here is a physician who cares. Can't say enough good things about Dr. Gouge. Dr Caridad Rebollar Is a great doctor she takes her time and answers all your questions makes sure you understand everything.I would highly recommend Dr Rebollar. Her staff are very professional, answer all your questions you my have. They are very nice and friendly. Good. Professional visit all round. The doctor came in within 5 minutes of my appointment time. She was personable and friendly. She answered my questions without making me feel rushed. Dr. Wong always explains your treatment and the reason why it is so. I receive first class treatment from the whole group. The office is efficient, punctual and comfortable. I feel like I’m receiving quality care. I highly recommend this group. Great presence, easy manner and direct. Dr. My first appointment with Dr. T after Dr. Fried retired. Very pleased. I appreciate Dr. Chica very much. He and his staff have consistently and patiently taken the time to explain my course of treatment for the past five years, from dialysis through two years post transplant. Their guidance has helped me stay healthy and on track. Very pleased with the turn around time for my visit , the staff is very professional and couteous ,Dr McMurtrie is very up to date and very knowledgeable and caring, I really appreciate her for taking care of me, very good doctor .